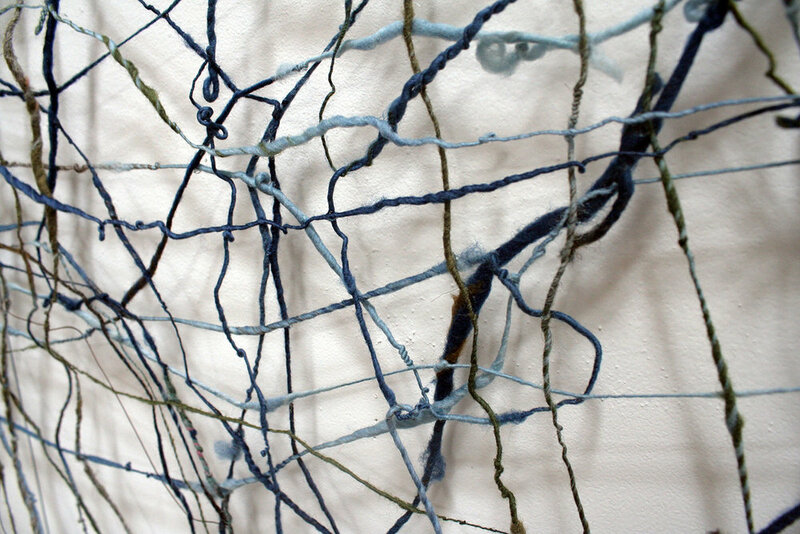 Recent work culminates a 20-year investigation into lace with a growing series of felted drawings. While beautiful in their own way, they are raw, crude and rough - simultaneously familiar and unfamiliar. Patterns created by light and shadow comes alive within these opposites. As Louis Kahn once said “The nature of space reflects what it wants to be.” For a moment, a viewer slows down, observes, and contemplates the calming rhythm found in the breadth and depth of Clowes’ work. Colorado River derives from five-mile segments of the Colorado River’s path across the Western United States. The process of overlapped hand spun wool creates a blueprint references to historical Victorian Lace. However, this piece is everything lace is not. 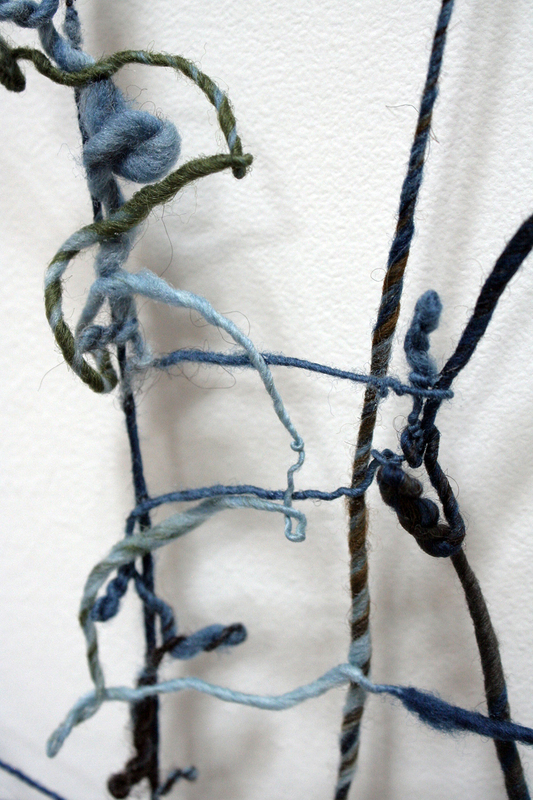 Materials: Hand dyed and spun wool, wet felted process.